First-ever vinyl reissue of the classic 1970 album from Mr. Rock Steady! 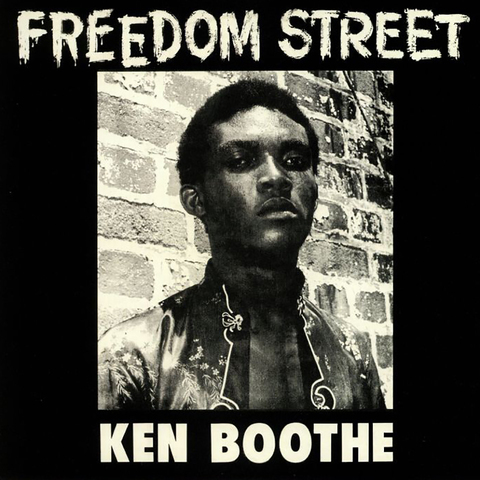 Ken Boothe was the most soulful singer of the rocksteady era. Ken Boothe OD is a Jamaican vocalist known for his distinctive vibrato and timbre. Boothe achieved an international reputation as one of Jamaica's finest vocalists through a series of crossover hits that appealed to both reggae fans and mainstream audiences. He often likened to a Jamaican Wilson Picke, and his mid-‘60s sides for Clement "Coxsone” Dodd’s Studio One imprint are treasured by rocksteady fans. Boothe then moved to Leslie Kong’s Beverley’s imprint for the classic 1970 album Freedom Street. Freedom Street continued Boothe’s string of hits with the songs “Why Baby Why,” “Now I Know,” and the title track.